It was a beautiful morning as we watched the sunrise from our tent. It has been awhile that we did not get up to do a weather check in the early hours of morning. Can not say that I minded letting the sunlight hit our sleeping bags before we awoke. Last night it was fun writing a birthday greeting in the sand for one of my early childhood friends. The ants were a no show this morning, but shortly after we made breakfast a couple of honey bees showed up. They must have been the scouts as within 5 minutes we were being swarmed by what seemed the whole hive. Any dish or pot that had liquid was an invitation to land. 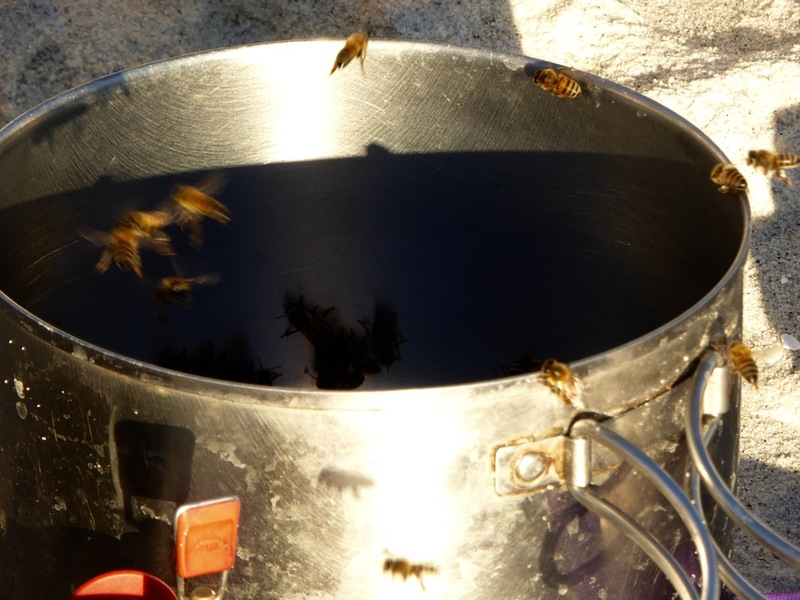 Soon our hot water pot was filled with the bees lapping up the water. Our relaxing morning had come to an end. 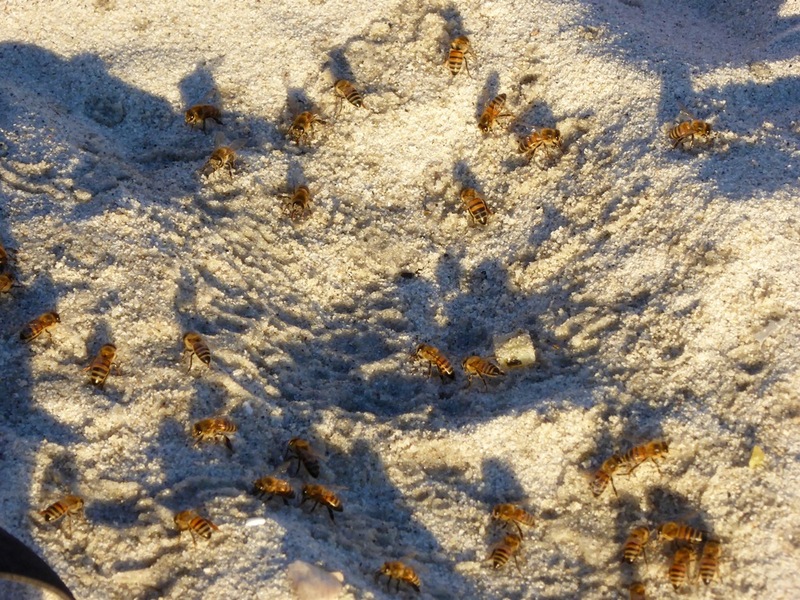 We had to come up with a strategy to get off the beach without obtaining numerous stings. We picked up our tent and moved it away from the majority of bees and working as a team we were able to quickly pack it up. The pots and dishes were a bit of a challenge. I picked them up with the blade of my paddle and flung them into the water. We also made a pathway of water away from our kitchen which encouraged the bees to check it out. We did a record time of packing up the boats and moving away from the shore. Amazingly we were able to pack up camp with no stings. We were thankful that the bees were not aggressive otherwise we might have had to spend the day there waiting for the night to come and the bees to leave. 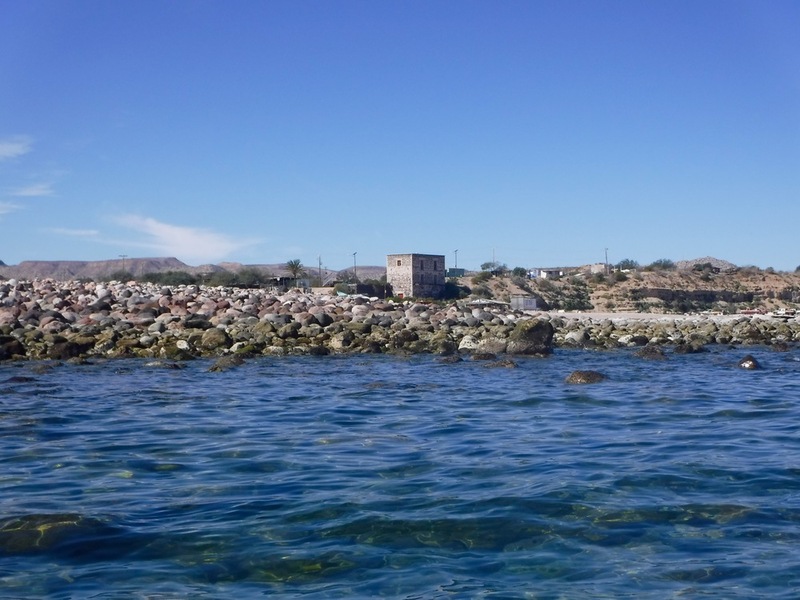 Next stop was the small town of El Barill. We did not really need any supplies, but wanted to check out the town. It was around 9 when we arrived to the town, once again passing the large white house, but this time from a different direction. 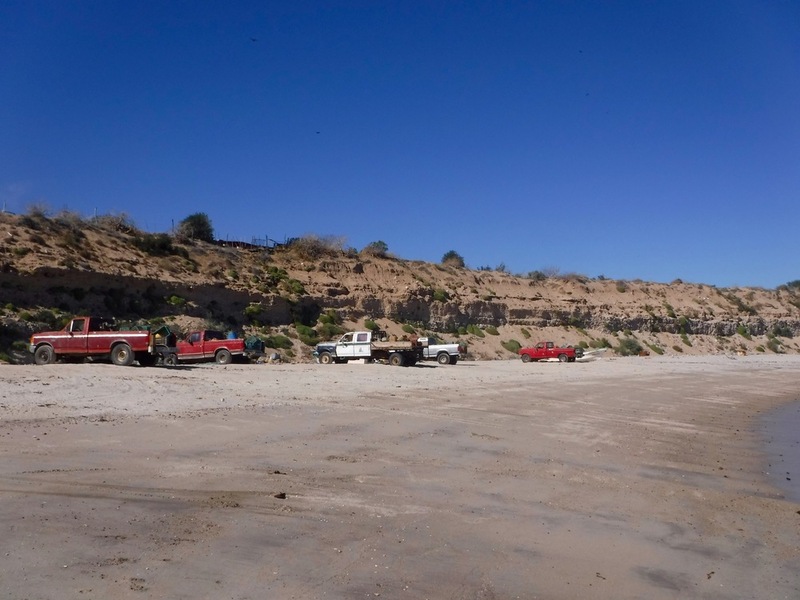 Trucks were parked on the beach. The boats were gone so figured most men were out fishing. There was not much activity around any of the houses, but we did see a small school and were able to talk to one of the teachers. When we asked him about a store, he gave us directions to one that might be opened. It was closed, but we saw a man nearby and we inquired about a store with him and he said, follow me. We weaved thru the backs of several houses and finally reached a house belonging to his daughter. He called out to her and said that we would like to buy some food. She opened the door and led us into her house. In the bedroom was the store which consisted of several shelves that had neatly organized can good with prices. We made our selection and paid her. They were quite friendly and waved to us as we paddled by. This next section of coast we had done some of it in moonlight so it was fun to see it in the day. The wind and waves were behind us so we were able to make some good time. Due to the shallowness of the points we had to give them a wide berth as large confused seas were breaking on them. It was a long day as we finally pulled into a beach that would work. Unfortunately we became a bit concerned when there was as large number of turkey vultures where we had planned to camp. We were relieved when they were chowing down on a small manta ray and not a larger smelly mammal. So far we have been able to camp at different sites than the ones we stayed at heading north. The last few days have been great paddling conditions and the weather forecast continues to look good.